With freight options throughout North America we are certain that you’ll love working with us! Quarterback Transportation offers a wide variety of driving options for qualified carriers. We provide primarily full load OTR Dry Van, Temperature Controlled & Flatbed services. You will also find opportunities in Heavy Haul, LTL, Expediting and Regional Freight. We offer freight options throughout the United States, Canada and Mexico as well as cross border through out North America. 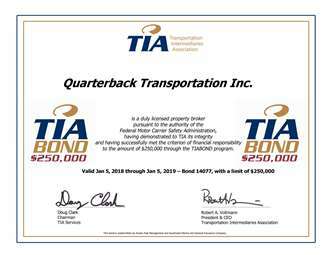 Quarterback Transportation is also a great partner for Owner Operators. Bring your truck, or join our existing group of drivers and carriers who continue to enjoy their working experience with Quarterback Transportation. Take a look around. See what Quarterback is all about, and what we can offer you. Give us a call at 888-551-5250 or e-mail qbinfo@qbtransportation.com. 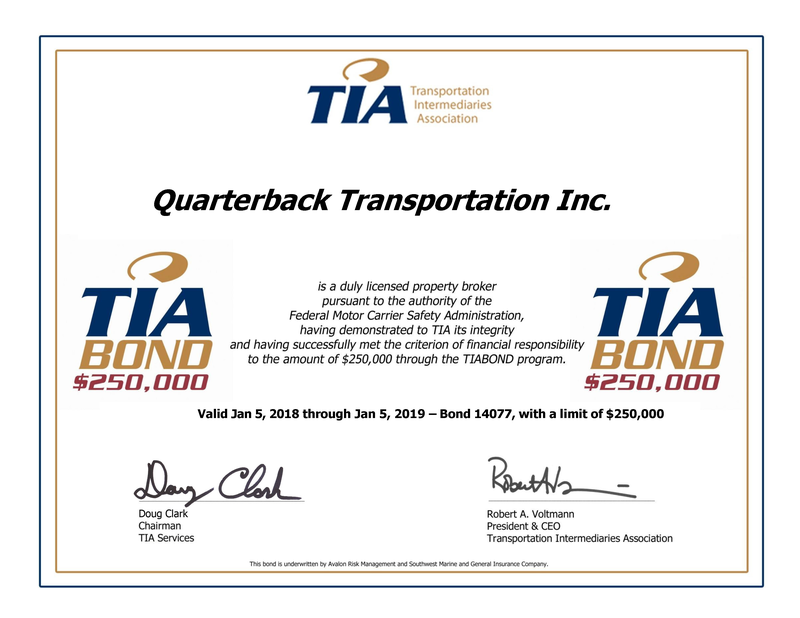 Quarterback takes great pride in its tremendous track record of paying carriers on a timely basis!